The video also includes important information for parents in Texas who are interested in volunteering in their child’s classroom. Who are the #Futuro2020 Mami Ambassadors? Amber (www.thriftyninja.net), Candy (www.candypolooza.com), Michelle (www.familyloveinmycity.com) and Katherine and Cristy (www.LosTweens.com) have partnered with Hispanic CREO to support their Futuro 2020 campaign. The Latina moms of tweens strongly believe that education is key to our future and the most important factor in a child’s education is parental involvement. 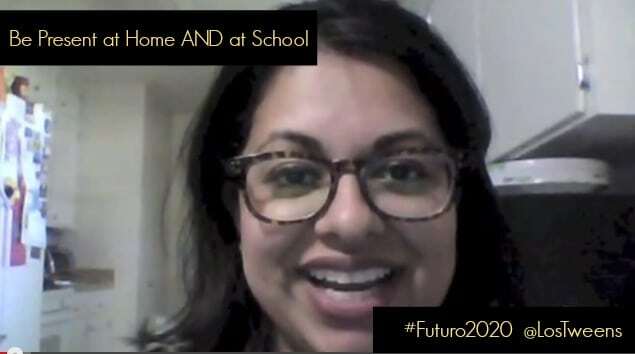 Through a series of videos, the #Futuro2020 Mami Ambassadors share their stories of how they’re involved and provide tips and advice for parents. Futuro2020 is a national campaign created to raise awareness of the low academic achievement of Hispanics, to educate people on why this is bad for America and to identify new solutions to this crisis. This entry was posted in Raising Tweens, Teaching & Education Tips and tagged CelebrateEDU, education, Futuro2020, kids, Parenting, parenting advice, parenting ideas, Parenting Tips, parents, Tween Education, Tweens. Bookmark the permalink. Thats so awesome that you volunteer at school! You rock!